Using a Toyota Prius with GPS, radar and a 3D mapping camera to read signals, road lanes and pedestrians, this car has successfully navigated over 300,000 miles with no accidents. 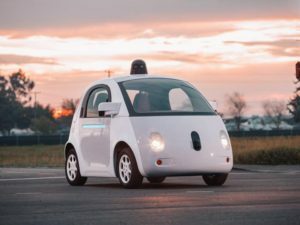 Even three states have made self driving cars legal on their roads. These states are California, Nevada and Florida. They still want a human to sit in the driver’s seat to take over the controls if needed. Personally I think the driver is going to get bored. They will either fall asleep or spend time reading a book. Which is not going to help in a situation that needs urgent intervention on the part of the driver. Unless there is some sort of alarm to grab his or her attention. The answer is believed to be yes in both cases. In fact so much so in the case of accidents that the automotive repair business will undergo a major shift in business once these cars become standard. There will still be accidents from time to time, but apparently many less than what occurs today. They should use less gasoline as well. Since the cars will adhere to the speed limits and plan routes more carefully. Using a car like the Prius will automatically reduce gas consumption as well. During commutes today, drivers need to focus on the road. While in a driver less car, they are freed of this responsibility leaving them time to focus on work. They can make phone calls and even finish their makeup and preparations for work. The expectation is that they will have a lot more time for work or other related activities. However this begs the question of how confident will we be of the auto pilot in the car. How good a job will it do. Does the driver really have to pay attention and monitor the car’s driving. Or will it issue an alarm of some kind when it needs help? Can you depend on the driver less car to get you home after an office party were you have had too much to drink? Will the police still charge you if you have drank too much and if you are in the driver’s seat of a driver less car. In theory you are supposed to be sober enough to drive should the car need help and if you are too drunk, will they charge you when stopped? In situations were there is an accident, who is going to pay for the damages? First of all most people think there will be a lot less accidents so our insurance cost should decrease. Secondly there will be a battle between several companies as to who should be responsible. Is it the owners insurance who should pay since he should have been in control of the car, should it be the equipment manufacturer that should pay if it was a malfunction of the equipment or should the software developer pay since their software did not react quickly enough to avoid the accident. The first dozen cases will be difficult and will set the precedent for many law suits and claims for the future. They will be complex and argued in court to make sure that the right party pays for the damages, especially if someone is hurt. This will be an exciting time as more and more innovations are placed in our cars. Think of it, if an airplane can be set on auto pilot to take off and fly across the country to land at another airport, why can’t you get into a car and do the same thing from your driveway to your vacation spot halfway across the continent or a few miles to the cottage!